In an effort to improve boat fire safety aboard recreational boats, the nonprofit BoatUS Foundation for Boating Safety and Clean Water today issued “Foundation Findings #55.” The report, part of a long-running educational series devoted to boating-safety topics, includes a five-minute video showing three actual boat burns captured by 12 cameras. The video depicts an electrical fire aboard a small open fishing boat, an engine compartment fire aboard a typical sport boat, and a cabin fire aboard a larger cruiser. 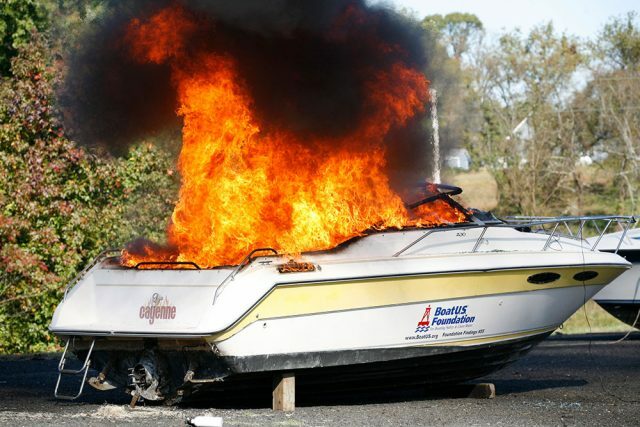 By simulating various types of boat fires and capturing on video, Foundation Findings #55 offers boaters a look at how little time they may have when there’s a fire aboard. Practical advice on the importance of detection and prioritizing your crew’s response, as well as fire prevention and preparation are included at the report’s website BoatUS.org/Findings/55. 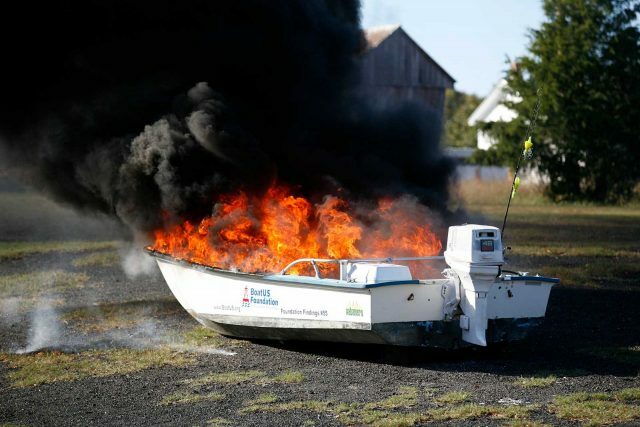 The BoatUS video demonstrates how fast a boat fire happens and why you must be over-prepared. For more information on boating safety, go to BoatUS.org. Life Jacket Loaner Program | Need to Borrow a Kid-Sized Life Jacket?